When we think of the ideal mountain scene we typically imagine some combination of water, flowers and mountains. People regularly request photographs with these elements, but this is much easier to paint than to actually find and photograph. 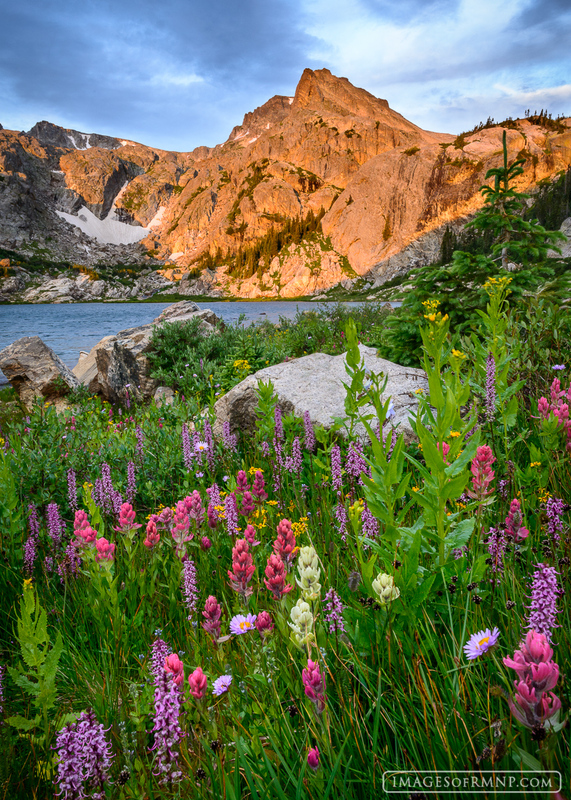 Fortunately, for a few days each summer we have ideal conditions to capture this mountain dream at Bluebird Lake in Wild Basin. Photo © copyright by Erik Stensland.